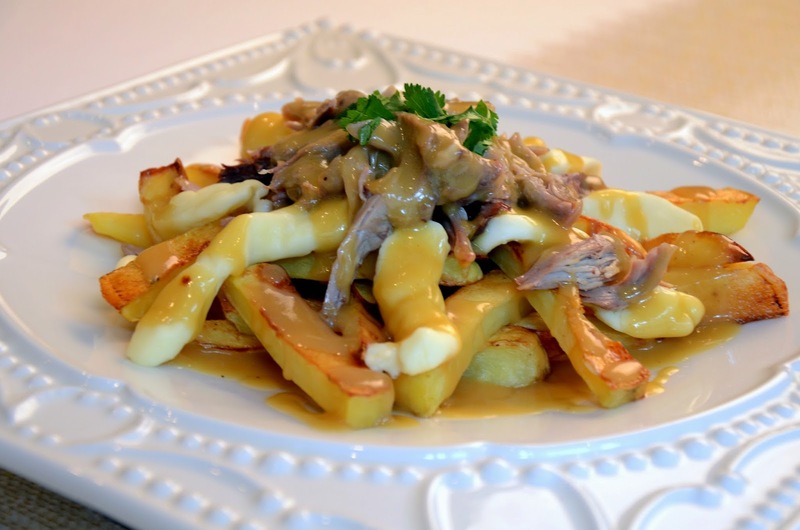 Originating in Quebec the poutine, pronounced "pe u tin" is a favourite of the locals. Legend has it that a customer in Warwick-Quebec asked the owner of a restaurant to add curds and hot gravy to his fries. The dish was made and it looked messy. The chef declared it was "Poutine"; messy in French. The rest as they say is history!! A soul warming, stomach filling fast food sold in chip wagons, diners and many restaurants as well as the hockey and game arenas in Canada. Traditionally the fries are always hand cut, the curds specially made for the dish and the gravy is dark,thick, sweet and tangy. It is popular all over North America although they call it fries and gravy and its not the same. Fast food joints have also started serving a version of this dish on their menu. 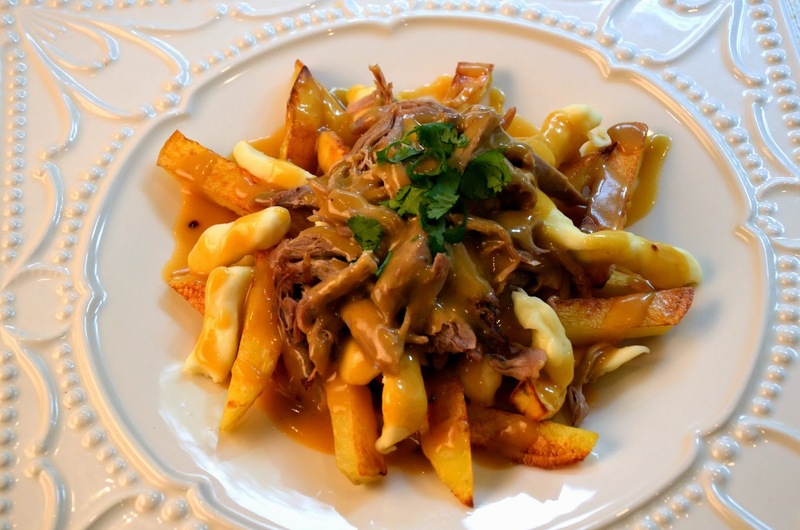 With cooking shows and internet revolutionising the food industry Poutine has many a great version of it. The Greek restaurants serve a delicious Lamb Poutine while the American diners do a super Pulled Pork Poutine. 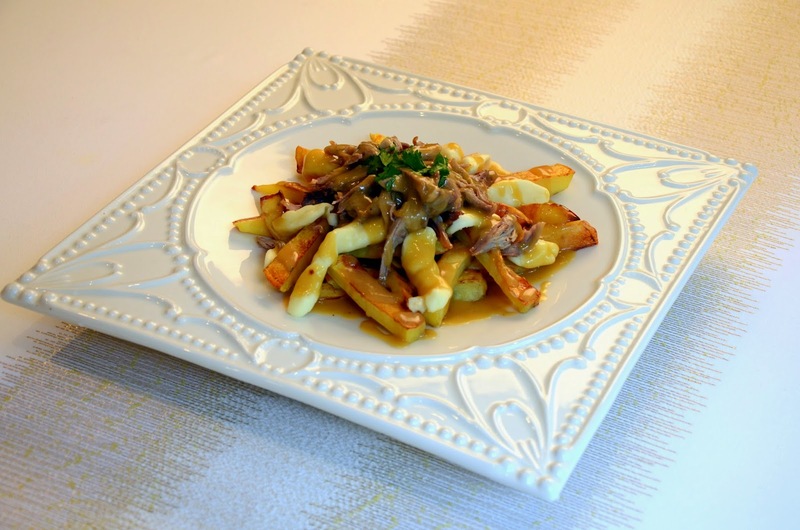 Here I have tried out my own version of a Duck Poutine! Perhaps the French will get to love this one? 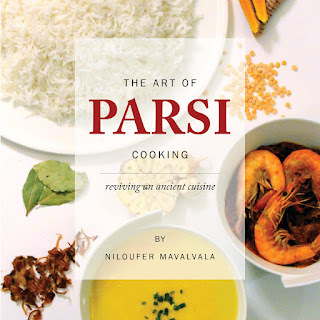 It promises to be this years show stopper from Niloufer's Kitchen! Place the pieces of duck in a deep ovenproof dish. Place the herbs and spices all over. Pour the chicken stock over it. Cover tightly with 3 layers of foil. Cook in a preheated oven 170C/350F for 3 hours. Let it rest for 30 minutes. Remove the skin and bone and shred the duck. Keep aside for later, cover and refrigerate if using next day. It is recommended to cool the liquid overnight to remove the fat from the top. Boil together all the juices from the cooked duck, discard only the slices of orange. This liquid should halve. Sieve the gravy to discard the onions and bay leaf and juniper berries. Now add the butter and flour dry roux whisking it briskly to remove all the lumps and keep the gravy smooth. Allow to raid boil until the gravy reaches the required thickness. Oil a flat tray and toss the potatoes on to it. Bake on a 200F/400C for 45 minutes until done. Toss once if you want them browned all over evenly. Sprinkle lightly with freshly cracked salt. Place equally into 8 soup plates. sprinkle with a handful of curds. top with pulled duck and add two large ladles of gravy over each plate. Sprinkle with freshly chopped parlsey or corriander leaves. Its best to use only one kind of duck for even cooking. If you pick duck breast cook for an hour less. But I would recommend using the brown meat for this dish. You cannot reheat this once plated so be ready to eat it when put together. It is recommended to cool the liquid overnight before preparing the gravy. This enables to remove all the fat very easily that will gel on top. it is healthier and less greasy to enjoy. Remove the orange slices once you are boiling to make the gravy as the pith of the orange can leave a bitter after taste. Optionally add 4 tbsp maple syrup instead of the Worcestershire sauce if you like it sweeter rather than tangier.